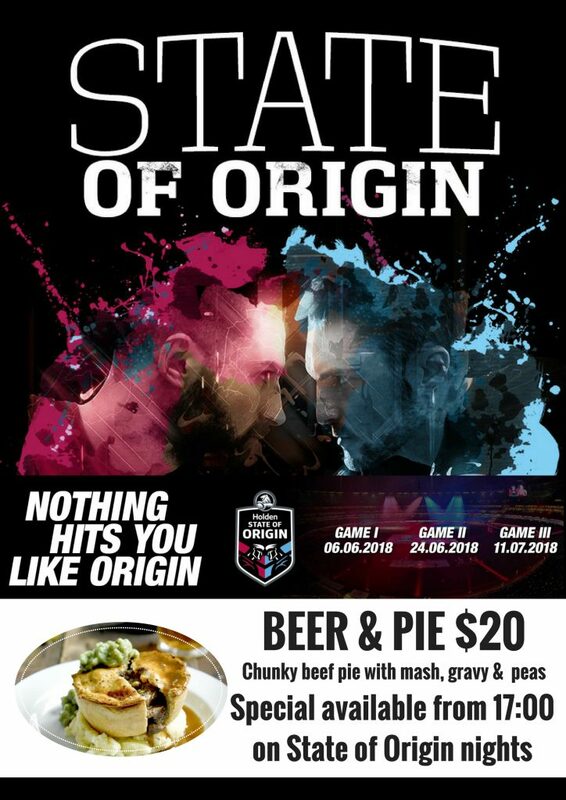 State of Origin Game 2 this Sunday, 24th June! Join us at the Cruising Yacht Club of Australia for the game. Our game special: Chunky beef pie with mash, gravy & peas. Wash it all down with a beer!